The love-child of a classic American Manhattan and the pre-Prohibition Tipperary cocktail, in this case made with Malt Whisky. To a mixing glass, add all ingredients over ice. Stir for 50 revolutions with a long bar spoon. 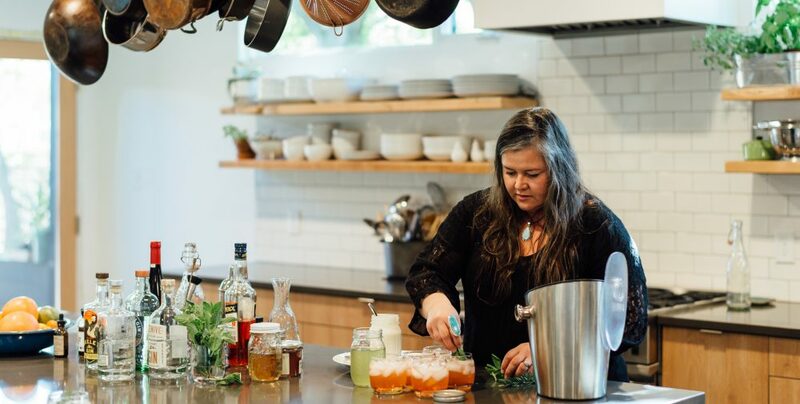 Strain into a coupe glass over an ice cube. Garnish copiously with narrow orange and lime zest twists. 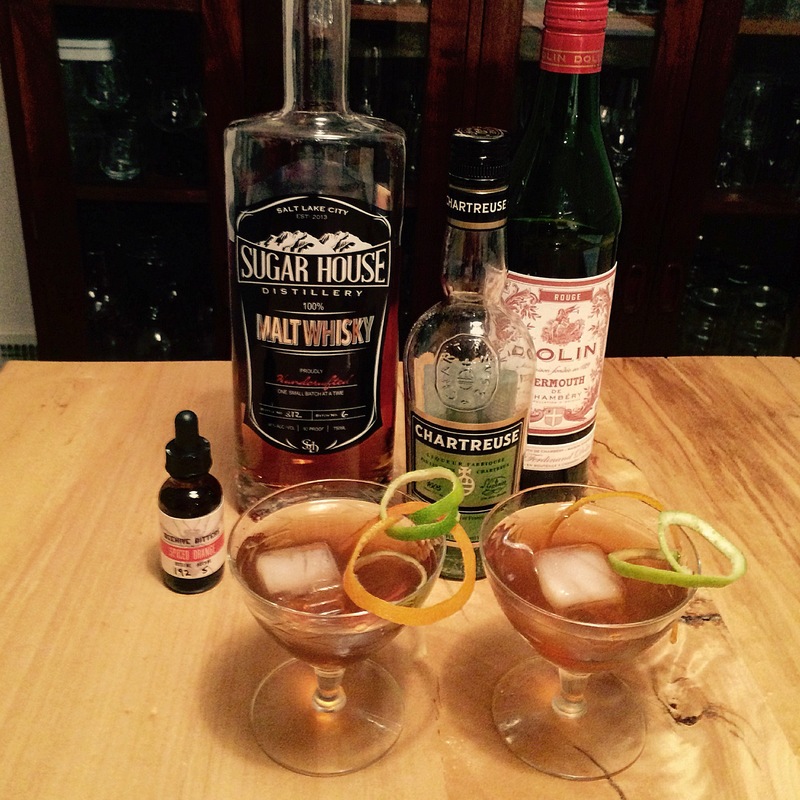 Almost a year ago, I was fiddling around with Tipperary — a WWI-era classic named after the Irish lament “It’s a Long Way to Tipperary”– recipes and made a “MacHattan” cocktail for our annual St. Patrick’s Day party using Irish whiskey. It’s a combo that also works really well using a not-super-peaty Malt Whisky. The spiced orange bitters give a nice zip to the drink, with the vegetal qualities of chartreuse making for a great base note. 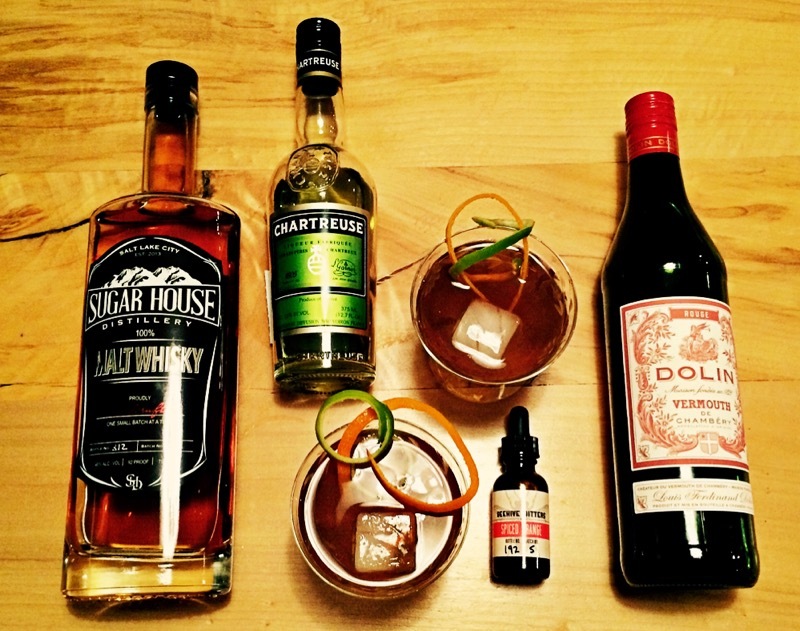 Note: This cocktail was featured by the talented guys at Sugar House Distillery in a recent article in The Utah Review (check it out! Lots of great stories about Utah products and producers), for which I was compensated by SHD as a writer and photographer.